In June 2008, a group of friends with a common interest in their love of the Boxer dog breed met at the dog park. These friends formed Atlanta Boxer Rescue ("ABR") as the first Boxer rescue organization in metro Atlanta. 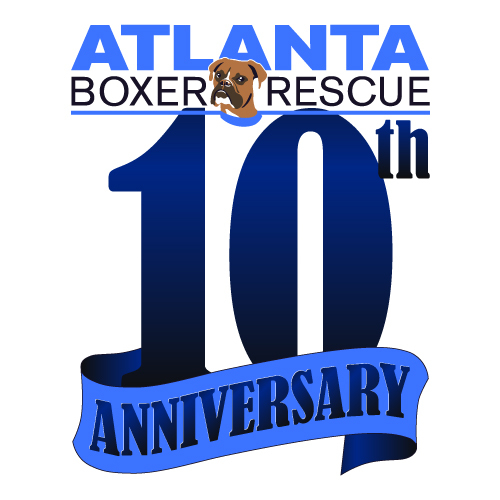 10 years later, ABR continues its mission to rescue, medically rehabilitate and rehome Boxers in need. 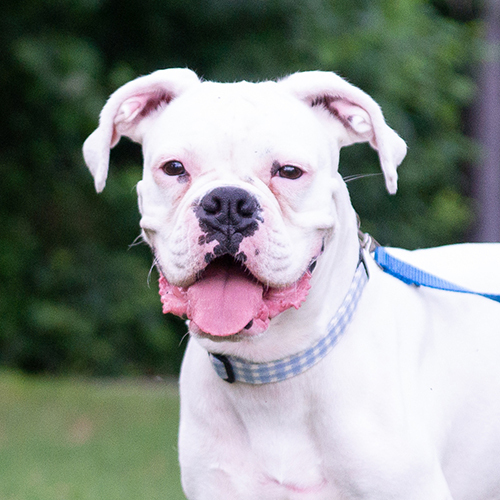 Along with this milestone anniversary, ABR has taken in its 1,500th dog, a white Boxer named Tin Lizzy. The name is significant because Tin is the metal for the 10-year anniversary, and an old Ford Model T race car was nicknamed Tin Lizzy because it looked the worse for wear, but to everyone's surprise Tin Lizzy won the race against newer cars, proving her durability. Lizzy's story begins like so many others, at a rural, high-kill animal shelter. 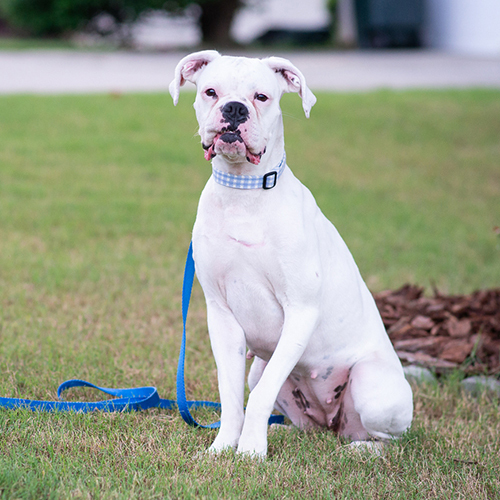 The shelter contacted ABR to see if they could assist a white boxer who had an injury to her front leg. ABR volunteers didn't know what was wrong, but knew they had to act quickly to save her. X-rays revealed a bone near her shoulder is obliterated from what appears to be a gunshot. Her bone is beyond repair and will require amputation in the coming week. Lizzy is now resting at her foster home and receiving top-notch medical care from Paces Ferry Veterinary Clinic in Vinings. Lizzy faces a long road to recovery, but ABR volunteers are working to see her through this journey. ABR has full confidence that their Tin Lizzy will win the race and find her perfect forever family. According to ABR President, Dianne DaLee, "Lizzy exemplifies the type of dog ABR has made its mission to help over the last 10 years. ABR was created to save sick or injured boxers or the ones in high kill shelters at risk of euthanasia. We don't shy away from difficult cases, including orthopedic injuries like Lizzy's. She is an amazing dog with so much love to give." 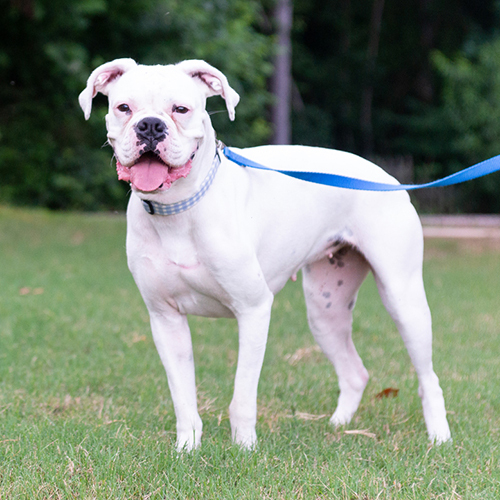 About Atlanta Boxer Rescue, Inc.
Atlanta Boxer Rescue, Inc. is a non-profit organization specializing in the rescue, adoption and animal welfare of Boxer dogs in the Atlanta metropolitan area. The organization provides veterinary services for its rescues and owner education and support for all Boxers in the Atlanta area. Atlanta Boxer Rescue, Inc. is 501(c)(3) non-profit organization. All contributions are tax deductible to the fullest extent allowed by IRS law. For more information, to volunteer, to donate or to adopt a Boxer, please visit Atlanta Boxer Rescue online at atlantaboxerrescue.org or email info@atlantaboxerrescue.org.